We have had a busy past couple of weeks collecting awards, I can’t say I am complaining, weather it is the 24k gold coated Hermes trophy at TTG Asia for the Best Travel Agency India or the 26th National Tourism Award, I am delighted that the Company is being acknowledged and our efforts in the world of travel are being recognised. The Sita office in Goa has recently shifted to a new prime location in Panjim. The beautiful office sits at the waterfront and offers a stunning view overlooking the famous Mandovi River. It so peaceful to just look out while taking a little break! 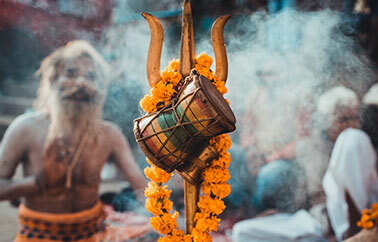 The festival of lights which is just around the corner is celebrated with oil lamps, flower garland decorations, candles float in bowls of water outside homes and sweets are shared with friends and family. I would like to wish you and your family a very Happy Diwali. A refreshing and semi-bumpy drive up the winding roads 23 kms from the town of Munnar brings you to a hidden gem that oozes peace and privacy. 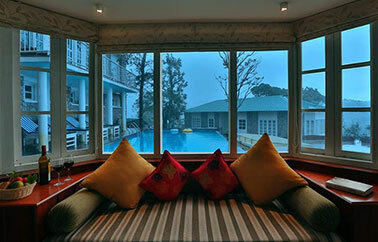 Yes, Spice Tree is a fresh perspective on the frequently trodden scenic town of Munnar. Nestled between the evergreen Kannan Devan hills and Bison valley Hills, it is perched lithely like an eagle reveling in the view of the serene surroundings through the swirling clouds and mist that comes and goes. 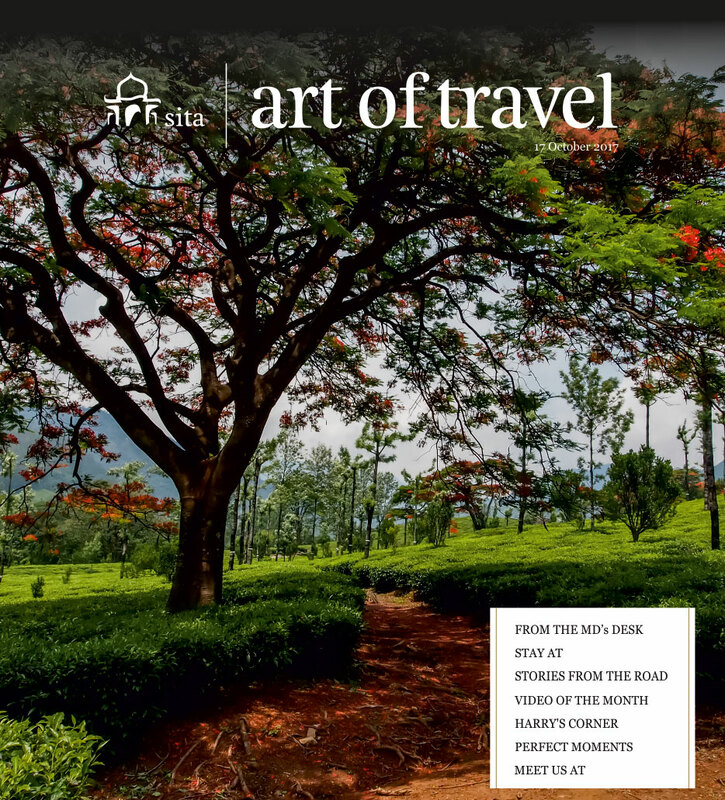 When one thinks about Kerala, it is almost always the backwaters or the beaches or the food that comes to one’s mind. But go beyond all of that and hidden in plain sight in the manifolds of God’s own country is the very core of the harmonious existence of common folk that has evolved over decades and made it a magnanimous kaleidoscope of culture and tradition that we see today. 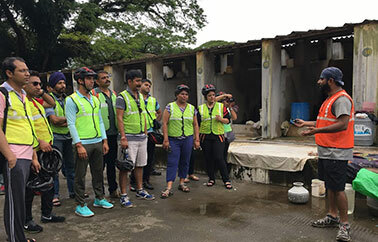 Here are 4 out of the ordinary experiences that I had the good fortune of trying first-hand on a 2 week tour around Kerala that brings out this essence of the not so quintessential Kerala. Go Local in Bhutan is a 7 episode fun series which lets you discover the authentic side of this tiny Buddhist country, including what to see and when to see in Bhutan that no Guide book will tell you but only a local can. 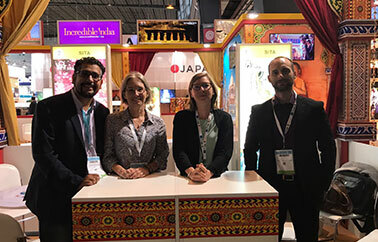 Showcasing our product line at Top Resa, Paris this year, were Pankaj Patpatia, Jean Noel Esteve and Carole Gallo at the India Tourism Booth from 26 - 29 September, 2017. We had a great show this time, do join us next year for some more from Sita.